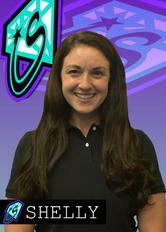 ​Tammy is the head coach and choreographer for all of the Spirit Too teams. She is a mom of 2, has a bachelor’s degree in psychology, and brings 27 years of cheerleading experience as an athlete, coach, choreographer, judge, and NCA instructor. She discovered competitive cheer at 8 years old and immediately fell in love. She has cheered at all levels ranging from youth league all the way through collegiate, including all-star. She has won numerous awards throughout the years including NCA All-American and Top Gun Jumper, as well as many team MVP awards. Tammy was also named Fairfield High School's first ever All-FCIAC cheerleader her freshman year and earned that title 2 more years until she moved to West Virginia. 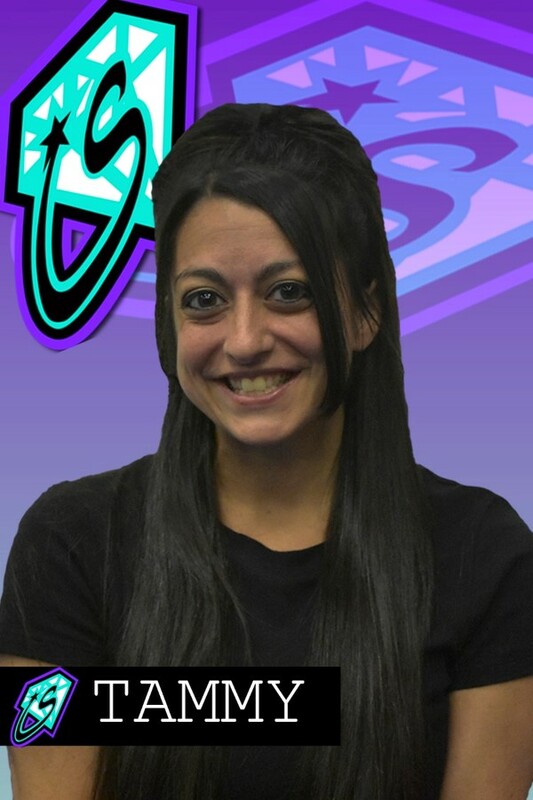 Tammy was also a member of the undefeated 2007-2008 Spirit All Stars Onyx coed open level 6 team. Tammy has gone on to win countless awards for her choreography including Cutting Edge, Wow Factor, Innovative Choreography, Best Dance and Best Choreography. 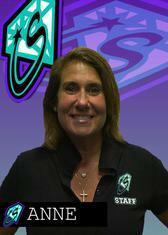 She began coaching in 9th grade and with over 20 years of coaching experience has been able to build up quite a successful resume including numerous undefeated seasons in the all-star tiny, mini and youth divisions. In addition to winning numerous white jackets and US finals titles, in 2013 Tammy's junior level 1 team won the Overall US Finals title, making them number one in the country. Tammy has also taken numerous teams to both the D1 and D2 Summits for the past 6 years. In 2016 her J3 team won the wild card round and went on to place 7th in the country. In 2018 her S4 team also won the wildcard round and went on to place 3rd in the country. Tammy's psychology degree, extensive cheer experience, and intense love and passion for both the sport and kids, combine to create a special and unique training atmosphere. Her main goal is to make each and every athlete feel loved, inspired and a part of something special, all while pushing them to achieve their goals and become the best they can be on and off the mat. Cori graduated from Norwalk High School in 2006 and from Southern Connecticut State University in 2011 with a bachelor of science degree, and has plans to pursue further education in the near future. Throughout Cori’s cheerleading career she has had numerous successes. While on the SCSU cheerleading team, Cori and her teammates competed at and won the 2009 UCA College Nationals. As a coach, she helped lead the Norwalk AYF to becoming National Champions in 2014. She also helped lead the Spirit All Stars youth level 1 team, the Malachites, to becoming US Finals Champions in 2014 and 2015. Cori has been coaching at Spirit Zone Too for three seasons. She is currently coaching youth level 1, the Malachites alongside coach Amanda. Also, this season she is taking on Spirit’s mini prep level 1 team, the Morganites alongside coach “A”. As well as coaching our special needs team, the amazing Alexandrites! She’s very excited to continue on with the success of all three incredible teams in this season! ​Shelly began cheerleading at the age of 6 and has been involved ever since. She was an NCA All-American Cheerleader at both the high school and collegiate levels. She won championships for the State of Georgia with her high school team and NCA Nationals with her all star team. During college, she attended Georgia Tech on a cheerleading scholarship to study Industrial Engineering. She competed with the Georgia Tech cheer and dance teams at NCA Collegiate Nationals, which both made multiple top ten appearances. In addition, she has been a tumbling instructor, high school and all star team coach, summer cheer camp director, and competitive cheer choreographer. Since graduating, Shelly worked as a Project Manager and Systems Engineer for 12 years. She is a mom of 4 young kids and an entrepreneur in juvenile products outside of cheer. She also remains involved with the Georgia Tech Cheerleading Program. Shelly started with Spirit Zone Too in 2016 as the mini coach and is very excited for her third season at Spirit Too! She loves the opportunity to work with athletes of all ages and introduce the love of cheer to the youngest athletes. Daqwan has been involved with cheerleading for nearly 10 years. He started out as a sophomore in high school cheering for White Plains highschool. In that time he has went on to win several local, state, and regional championships and also compete and place on a national level. Since then he has been involved with assisting numerous teams throughout Westchester County on a high school and all star level. 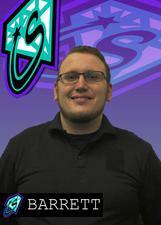 As this being his first year working with all the teams at Spirit Zone Too he is very excited to be able to utilize all of his coaching skills & abilities to help bring as much progress as possible. ​Barrett began cheerleading in December of 2001 for Platt High School in Meriden, Connecticut. He was elected Platt High School's first ever male captain by his team and continued to cheer for Platt until he graduated in 2003. After graduation he returned to the team as an assistant coach for 2 years. Following a brief hiatus to pursue other endeavors, a former teammate convinced Barrett to help coach at a small, newly formed all-star gym. Since then, Barrett has coached and continues to coach teams and athletes of all levels. 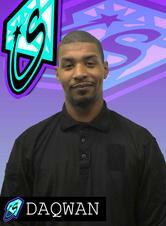 His coaching career has included countless 1st place finishes, 4 wins at US Finals and a trip to The Summit. As an athlete himself, Barrett has also won US Finals twice and competed at Worlds twice. In addition to his many years as a head coach and as a tumbling and stunting instructor, Barrett served as All-Star Program Director of East Celebrity Elite’s East Windsor location for 2 years before moving on to a freelance career of coaching and consulting for various all-star, rec and school cheer programs. Barrett is USASF (United States All Star Federation) certified up to level 6, and is CPR, CDC Concussion and First Aid certified. Even when he's not in the gym, Barrett stays very active as a member of the broader cheerleading community. He has been a USASF certified Safety Judge since 2011, and a USASF instructor since 2014. He was also elected to the USASF Regional Advisory Board for the 2012, 2015 and 2016 seasons. Justin Hood is former cheerleader himself at the University of Delaware, comes to us with many years of coaching experience. He is a former staff member at Cheer Mania in Stony Point NY. He currently coaches North Rockland High School in Thiells, NY. Justin is also a certified personal trainer and a licensed real estate agent. Sidney started cheerleading when she was 8 years old with the Town of Greenwich Cheerleading league known as the GYCL. She continued her cheerleading career when she competed on the all star level with The Liberty All Stars, under Anne Asta’s coaching. During her freshman year at Greenwich High School, she was captain of the freshman cheer team through the 2013-2014 season. Sidney has been coaching with the GYCL since the age of 14 and has since help choreographed many of their exhibition routines. At the age of 12, she signed up for two dance classes at a local dance studio, trying to start a new hobby. Through that dance studio, each year she grew as a dancer, taking more and more classes. She has traveled to Germany twice with her company, once in 2014 and again in 2016, to put on dance performances throughout lower Germany and Switzerland. 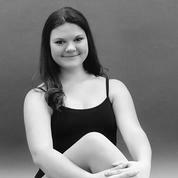 Sidney graduated from Greenwich High School and her dance studio in 2017. She went on to do a year at Western New England University and was one of two freshmen to make the performance dance team. She is now back home coaching with the GYCL once again. This is Sidney’s first year teaching dance at Spirit Zone and she could not be more excited. Samantha started competing as a gymnast at age 7 and made the switch to cheerleading at age 10. She won numerous awards through out middle school for her jumps and tumbling. She was the first Freshman to make Varsity cheer at Shelton High School in CT. During her Junior Year she joined Spirit All Stars in Hamden and her love for competitive cheer took off from there. She attended Southern Connecticut State University in New Haven and graduated with a Bachelors Degree in Exercise Science and Health. While attending Southern, Samantha continued to cheer at Spirit All Stars and began coaching at Liberty All Stars in Greenwich CT. 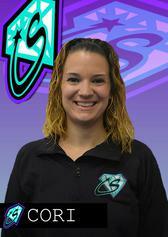 In 2006, while still attending college, Samantha branched out with a friend and started Excape All Stars. A few years later, Gold Coast All Stars emerged and Samantha and her teams enjoyed much success in the cheer world. She is married with two beautiful girls. 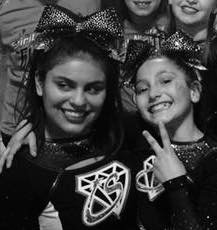 Samantha returned to competitive cheerleading with her daughter Mackenzie Rae to coach Tiny Treasures 2018-2019 season.